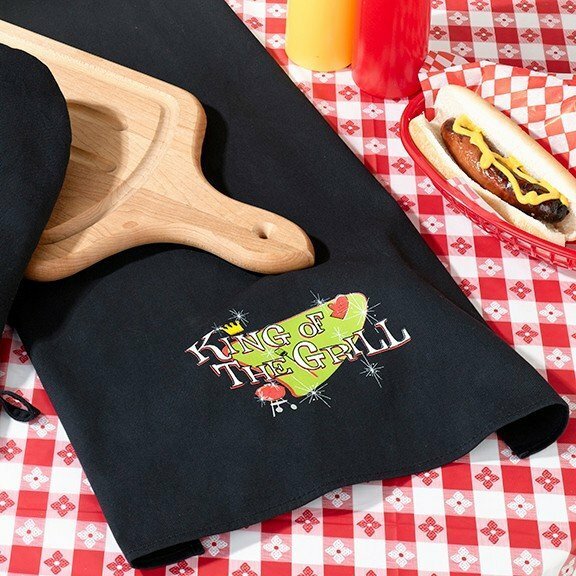 Keep it clean with this fun King of the Grill hand towel. The towel is a generous 15.75" x 25" for handling lots of messes. It comes in black with a whimsical retro-inspired graphic stating the user is the "King of the Grill". Additional accessories in this collection include a cup cozy, apron, oven mitt and spatula so you can treat your backyard king royally.